It connects you with the people following your brand! Okay, that’s the short answer, but it pretty much sums up the point of putting images in your Social Media posts. Whether your marketing team chooses to use infographics, memes, stock images or original photos, what’s important is that they are engaging and representative of your brand. When you have over 1.5 billion individual pieces of content on the Internet, it makes it very difficult for the content you produce to truly stand out from the crowd. 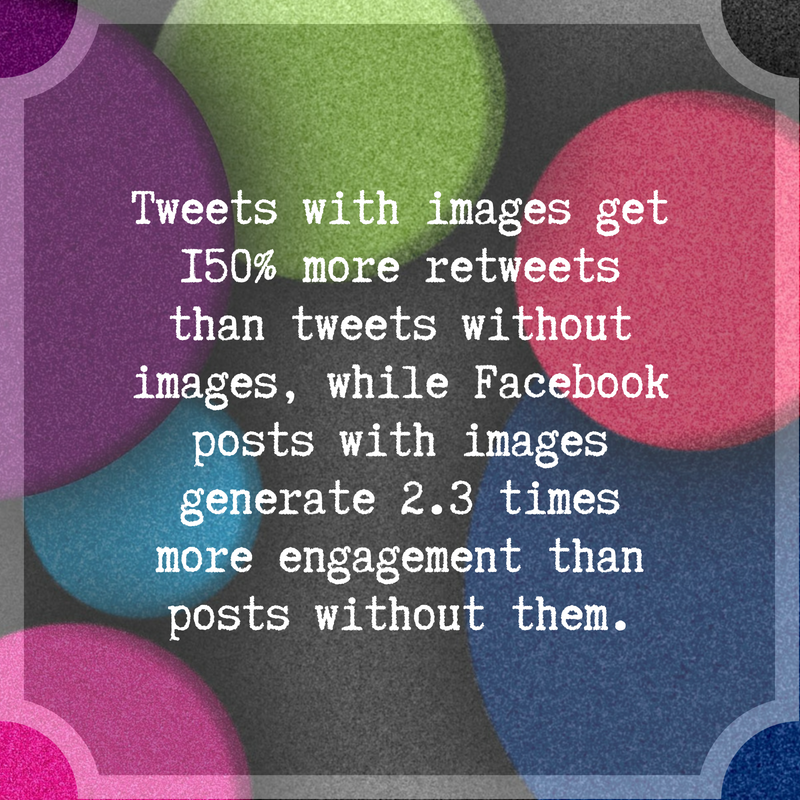 That’s why visual content is key for your Social Media marketing success. However, there is a way to jump over this particular hurdle. 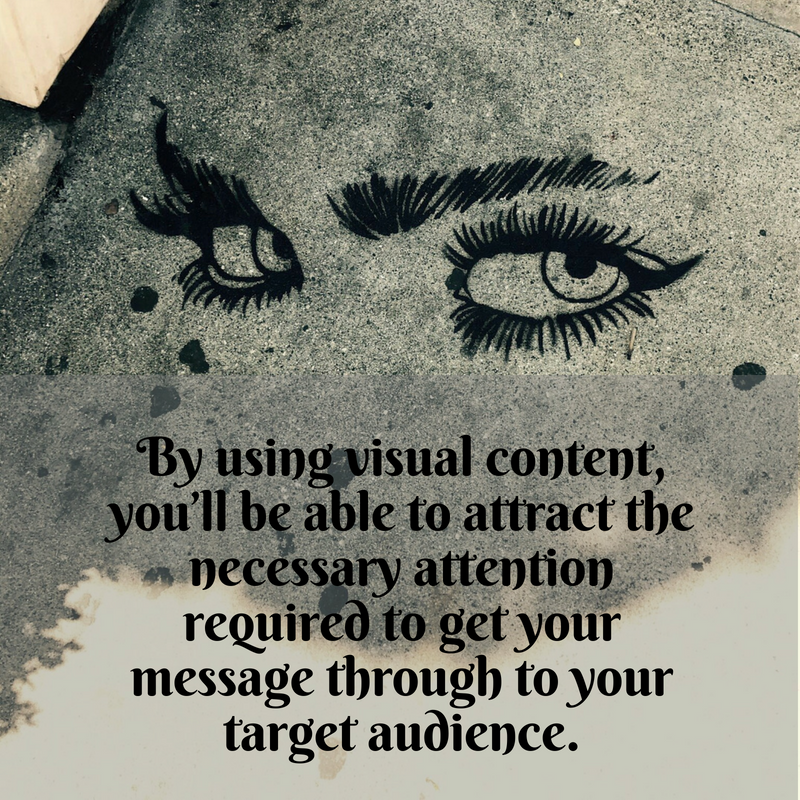 With people being visual creatures that process visuals 60.000 times faster than plain text, inserting visual content into your Social Media posts will make them a lot more popular than textual information. 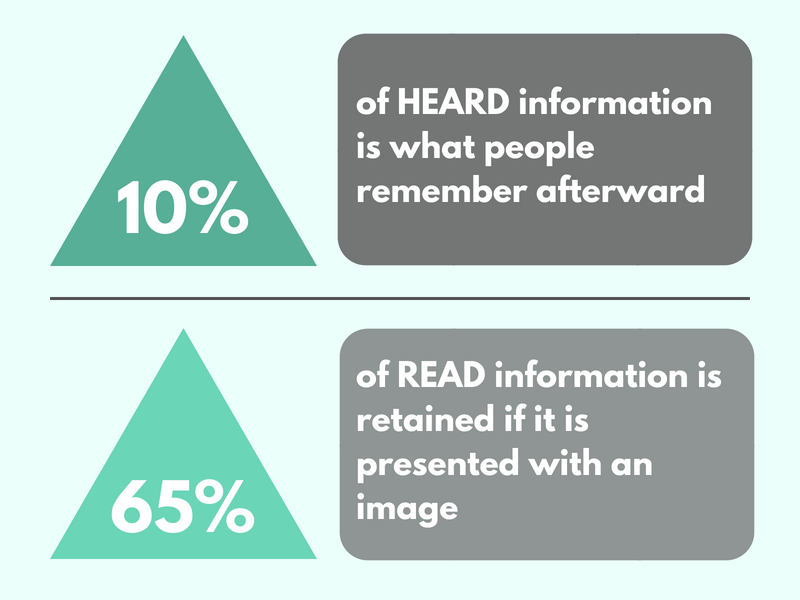 Online consumers can retain only 10 to 20% of the information they read or hear about, but once that information is paired with visual elements, the information retained suddenly goes up to 65%. At any given time, the human brain can only process a very limited amount of information. In addition, any information that can be processed faster will take priority in grabbing a person’s attention. Furthermore, according to Kissmetrics, people are 40 times more likely to share your content on Social Media if it contains some type of visual. 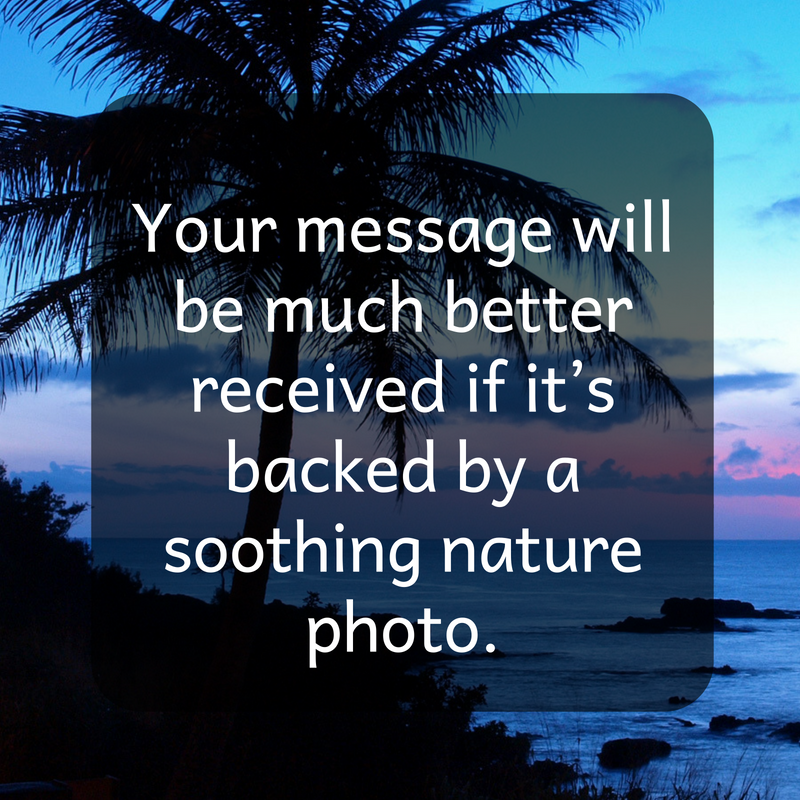 This is important to know because you want them to engage with your business and brand as much as possible wherever you make contact with them. 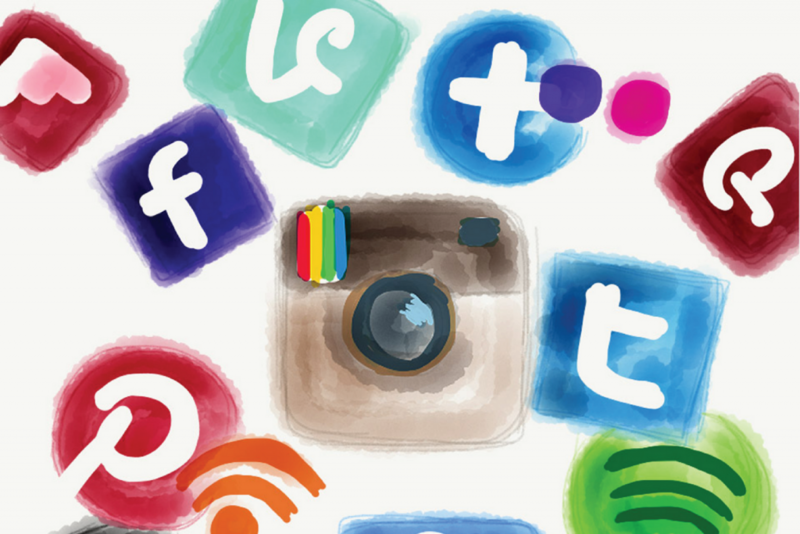 Attracting the right kind of attention with your social media marketing is essential for your campaign’s success. The more people like what you say and how you say – or show it – the more their interest in your product or service will grow. Every time you catch their attention (and they like what they see) brings you one step closer to those people and their friends and friends of their friends becoming your customers. 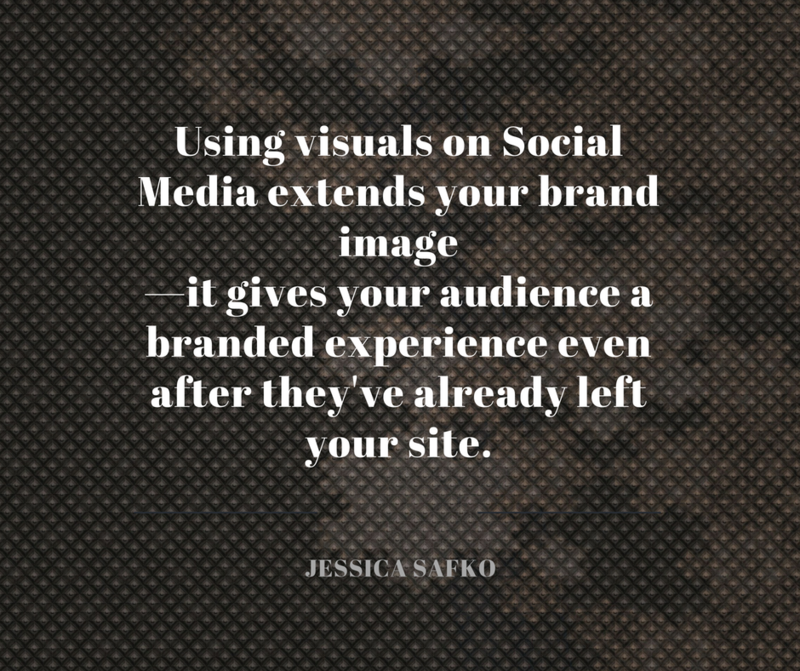 An engaging visual content is more likely to go viral, but they can also help your audience better understand or appreciate the message you’re trying to deliver. Moreover, if your content is clickable, it can bring you a lot of inbound links; just make sure it contains your logo so everyone knows where the content originated from. Inbound links make your content more relevant and improve your search ranking, while generating 60% more interest from your target audience. You can also use infographics to present data. 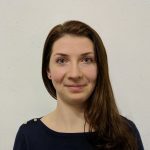 Infographics are a wonderful way to engage an audience in substantial material (often data-heavy or statistic-driven) without forcing them to read a thesis to derive the same information. A good infographic creates a visual narrative that reflects a brand’s mission, voice and culture – studies have found that colored visuals such as infographics increase people’s willingness to read content by 80%. Moreover, using company or brand colors in the infographic makes it that much easier to become an important component to your visual assets. Finally, did you know that online audience generally prefers watching videos rather than reading plain text? In fact, four times as many consumers would rather watch a video about a product than read about it, while 90% of consumers state that watching a product video is very helpful in making a purchasing decision. In addition, 64% of consumers are more willing to make a purchase after watching a product video. Making video the main visual aspect of your social media strategy will undoubtedly boost your sales. Moreover, including video as appealing visual content will boost engagement among social followers. The fact of the matter is that Facebook users watch 8 billion videos per day, and a live video turned out to be the most popular format. If you need help with marketing your business and brand, we are here for you. Contact us today!